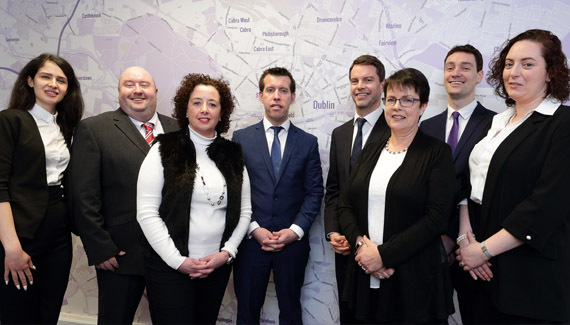 Brock Delappe, incorporated in 2004, are a full service Estate Agency with offices in Dublin 7 and Dublin 8 with listing throughout the city. We are committed to achieving the best possible price through accurate valuations, expert advice, strong marketing campaigns and experienced negotiators. Contact one of our experienced team members today. I would not hesitate to recommend Brooke Delappe. My apartment was rented by them very quickly and if there was a tenant leaving they re-rented it in a week. If anything needed to be fixed Kevin Delappe rang with a price and if I was ok with it then work was done straight away. I cannot say enough about David and his team. They recently sold my apartment in Dublin 8 for me and were incredibly helpful in guiding me along what is often a confusing and overwhelming experience. No question was too stupid! Highly recommend. It was pleasure dealing with Sean and the rest of the team on selling our apartment. Sean set realistic expectation regarding the price we were looking to achieve and put a plan into place to help us achieve it. He was always there for us to answer any questions and discuss the process. Dealing with Brock Delappe made a stressful experience of selling our property much easier, and I wouldn’t hesitate to recommend their services to our friends. I am very pleased with all my dealings with Brock Delappe. I found the staff very professional and helpful in the sale of my property. Brock Delappe kept me informed every step of the way. I would highly recommend them to anyone selling a property.